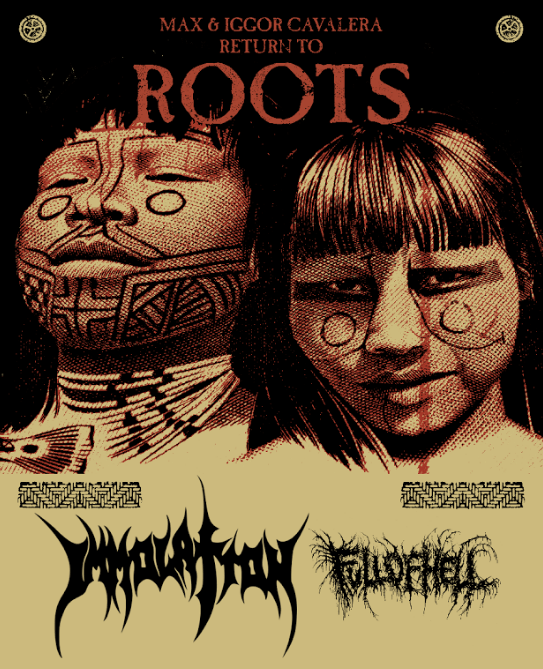 IMMOLATION are also pleased to join Max & Iggor Cavalera on their upcoming second leg of their RETURN TO ROOTS TOUR, next February/March in North America. “We are really excited to be a part of this tour! It is no secret that SEPULTURA was one of our earliest influences, and Max and Iggor were the force behind it all! From Bestial Devastation and Morbid Visions to Schizophrenia, SEPULTURA was one of the classic metal acts that is responsible for inspiring us to do what we do!